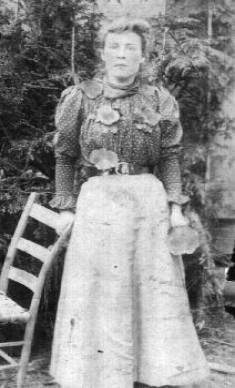 Nancy Matilda Ramsey was born in Apr 1863. Parents: Samuel Ramsey and Wealthy Whitlock. She was married toPhoto of William Thomas Fox on 5 Jun 1882 in Sevier Co, TN. Not shown are a pair of twins, Nicholas and Sara Jane, who died not too long after birth. 1. John Robert Fox was born March 25, 1883 in Sevier County, Tennessee. He married Harriet Jane Shultz on January 3, 1905 in Sevier County, Tennessee. He died July 21, 1964 in Lawrence County, Tennessee. 2. Samuel Harrison Fox was born February 2, 1888 in Sevier County, Tennessee. He married Minnie A. Morris on August 25, 1911 in Sevier County, Tennessee. He died April 7, 1980 in Lawrence County, Tennessee. 3. Amanda Elizabeth Fox was born November 11, 1890 in Sevier County, Tennessee. She was a deaf mute and never married. She died August 24, 1973 in Lawrence County, Tennessee. 4. William Silas Fox was born June 22, 1893 in Sevier County, Tennessee. He married Nicie Belle Manning on December 5, 1915 in Lawrence County, Tennessee. He died February 15, 1984 in Lawrence County, Tennessee. 5. Issac Garrison Fox was born July 15, 1895 in Sevier County, Tennessee. No known marriage. He died on August 5, 1948 during a bank robbery in Alameda, California. 6. Martha Ellen Fox was born May 21, 1899 in Sevier County, Tennessee. She married James Manker Shults on July 14, 1918 in Lawrence County, Tennessee. She died on October 15, 1952. 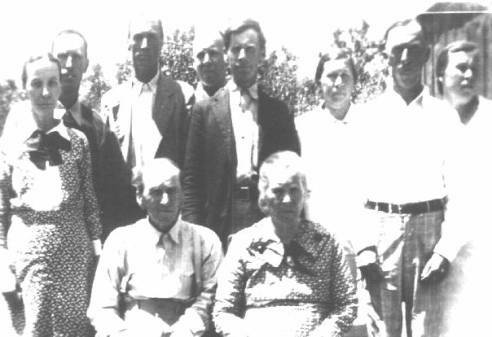 Children were: Lona Gertrude Shults, Lola Ellen Shults, Loyd Earl Shults, Flora Matilda Shults, Walter Everett Shults, Bonnie Marie Shults, Paul Elmer Shults, Charles William Shults, James Manker Shults Jr.
7. Wealthy Caldonia (Donie) Fox was born 1901 in Sevier County, Tennessee. She married Daniel Melvin Shults on May 1, 1918 in Lawrence County, Tennessee. 8. Walter Ishmael Fox was born June 3, 1905 in Sevier County, Tennessee. He died April 4, 1986. 9. 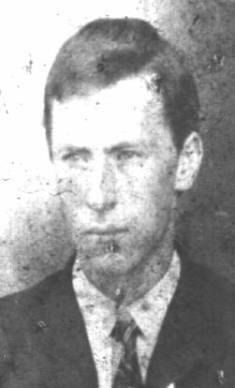 William Thomas Fox (b. November 1861 d. 1944) was the youngest son of Thomas D. and Mary Ann (Brown) Fox. William married Nancy Ann Matilda Ramsey on June 25, 1882 in Sevier County, Tennessee. Nancy Ann Matilda Ramsey (b. April 1859 d. 1956) was the daughter of Samuel and Wealthy (Whitlock) Ramsey. W.T. and Matilda lived in several different houses around the Webb's Creek area of Sevier County, before moving with a group of other Webb's Creek area families to Lawrence County, Tennessee about 1913. William and Matilda are buried next to each other in the Lindsey Grove Cemetery, Lawrence County, Tennessee.